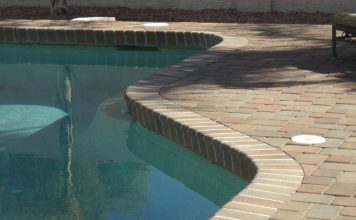 Pool Remodeling Services: Paver & stone Scottsdale - Phoenix pool decks. 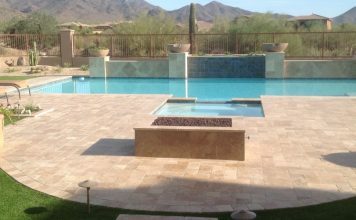 An instant fresh persona for an existing pool with plush sod and travertine pavers. It allows full view of the lake from all viewing points. Dark stone against light travertine - an arresting combination. 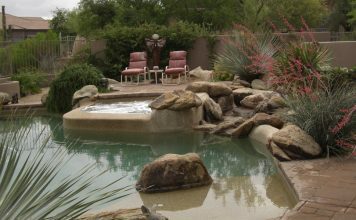 Pool decking takes up most of this Scottsdale backyard. With the new travertine patio and pool decking in place, this is the perfect spot to catch some sun, enjoy a cold drink, and entertain. 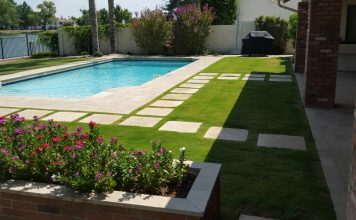 Taking a 'nice' pool to another level, we removed the dated pool deck and replaced it with gorgeous travertine pavers, transforming the entire backyard. 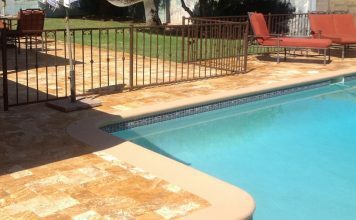 The oversized travertine tiles in the Versailles pattern give your pool deck less joints and more beauty. Goodbye cool decking - hello beautiful backyard. 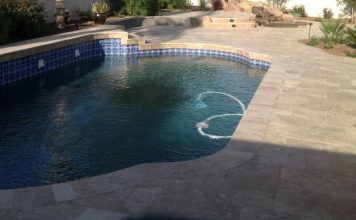 A travertine pool deck and other minor changes. Scottsdale pool remodeling. Travertine makes excellent pool pavers. It gives you a lot of variety in color without being over powering and a look that is upscale and upbeat. With this in the backyard, it could be hard to leave home. The paver pool deck's beauty is heightened with waterfalls and colorful plants. 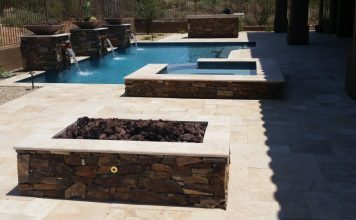 Relaxing and casual, this Phoenix pool deck's beauty is naturally elegant in a design done with irregular shaped red flagstone. It looks like a new pool, but it isn't. 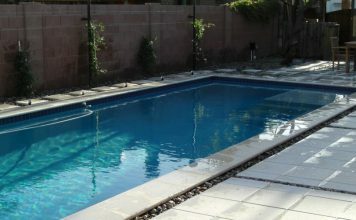 We replaced the cracked old Cool Deck with gorgeous natural stone tile pool deck. 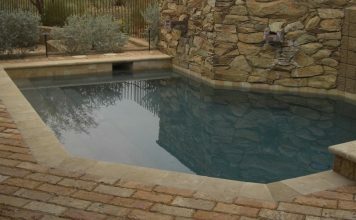 Plunge pools are rapidly gaining popularity and here the pool deck's done in natural Travertine stone pavers. Simply stunning. 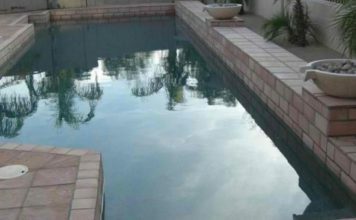 This homeowner won't need to worry about looking for Glendale pool remodeling again for their pool deck. Pool deck pavers last forever. 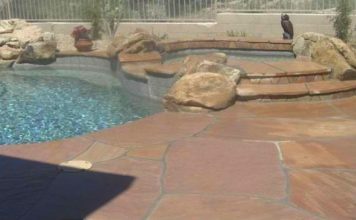 You can have beauty on a budget with pool decks by Desert Crest. 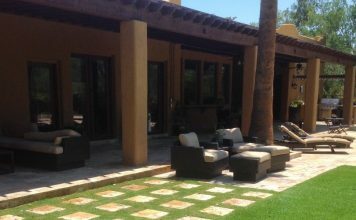 Glendale, Scottsdale and Phoenix outdoor living spaces... creativity is us.